Pitsou Kedem’s designs defy trends to leave a lingering impression on the urban landscape. Based in Tel Aviv, Israel, this multi-award winning architect is known for his minimalist, user-friendly style and striking design aesthetic. From the shapeshifting ‘Float House’, which features moveable partitions and reflective pools, to Italia B&B Showroom, an industrial design space that creates a clear human connection to the gargantuan space, Pitsou’s architectural signature is both unmistakeable and unwavering. A graduate of London’s School of Architecture, Pitsou believes that architecture and design are "planted" in an environment and therefore need to match the surroundings, the climate and the culture in which they exist. This mantra is beautifully exemplified in the modernistic ‘N Apartment’, where Pitsou and design team Ran M. Broides seamlessly combines the elements of earth, air, fire and water into one compelling package. Located along Tel Aviv’s beachfront with panoramic views of the city, the luxury residence covers the entire floor and wraps around the core of the building. “Despite its centrality, attention is removed from the core and organised outwards, to the environment, clearly explaining the importance of the urban landscape in the design process,” Pitsou explains. 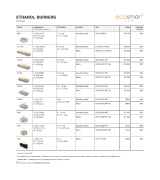 Amongst the ironwork fittings and pivoting glass doors is EcoSmart’s longest fire feature – the XL900 burner. In fact, two burners were installed side-by-side in custom-made cabinetry to add a wall of warmth and movement to the minimalist interior. 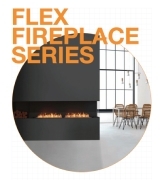 For Pitsou’s commercial project, Herbert Furniture and Fireplace Showroom, EcoSmart Fire once again plays an intrinsic role in adding a kinetic element to contemporary environments. Adding a beguiling warmth to a space dominated by raw materials such as floating sheets of steel and rusted metal rods is a range of EcoSmart’s indoor and outdoor fire solutions. 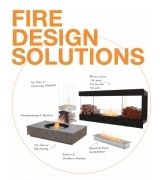 Freestanding models like Mix Fire Bowls, Ghost and Tower provide warmth and sculptural artistry to the floor level, while elevated, built-in fireboxes and burners showcase zero-clearance features and installation flexibility. 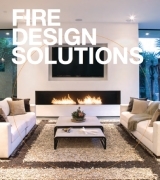 Once restricted to using old-fashioned fireplaces, Pitsou says Tel Aviv designers and architects now have a contemporary solution thanks to EcoSmart Fire. Pitsou’s penchant for using durable building materials and timeless pieces like EcoSmart Fire will no doubt leave a legacy on Tel Aviv’s architectural landscape. “To succeed being timeless and original at the same time is a very difficult combination, but when it happens, the end-product is perfect,” he says. “The solution of EcoSmart mainly allows me flexibility in the design, which is a great advantage for a designer,” he explains.